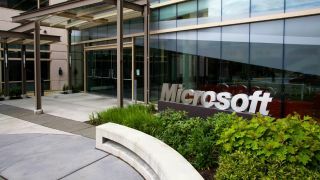 Microsoft is cutting off the circulation to its TechNet subscription service 15 years after it was launched, the company has confirmed on its website. IT professionals have until 21 August to renew an existing TechNet Subscription or purchase a new one, and have until 30 September to activate it. TechNet provides subscribers with free access to evaluation copies of all Microsoft software packages, including betas and other extras, for a yearly fee of $199 (£131) for the standard version. The service has been regarded by some as an affordable way for IT professionals to get free access to a long list of Microsoft software for evaluation. By comparison, subscriptions for software developers to take part in Microsoft's Developer Network (MSDN), which provides access to a broader range of systems, start at $699 per year. TechNet has sometimes been seen as a haven for software pirates who use it to gain access to product keys, which can be resold. Microsoft played down the issue in explaining the closure, citing a usage shift in recent years from paid to free evaluation resources. Microsoft is aiming to direct would-be TechNet subscribers to alternative services, including its TechNet Evaluation Centre, which offers evaluation software available for free for 30 to 80 days with no feature limits. Another is the Microsoft Virtual Academy, its free online learning resource. Its TechNet Forums will remain open for now. It said it will help customers through the transition phase and remain focused on providing IT professionals with free access to TechNet assets. Roy Illsley, principal analyst at Ovum, told TRPRo that the move may signal Microsoft shifting the audience for its products from those with technical minds to those focused on business. He said: "The techies tend not to be the spending influencers, so I think they could be looking to capture the minds of business users, and offer techies support via other channels." Illsley added: "I think Microsoft has recognised that expecting IT professionals to pay for subscriptions is becoming a challenge. "If Microsoft wants to engage more IT professionals and get them to use, evaluate and test software instead of them going to rivals, then a free service is the best way to increase the audience and capture them as customers."